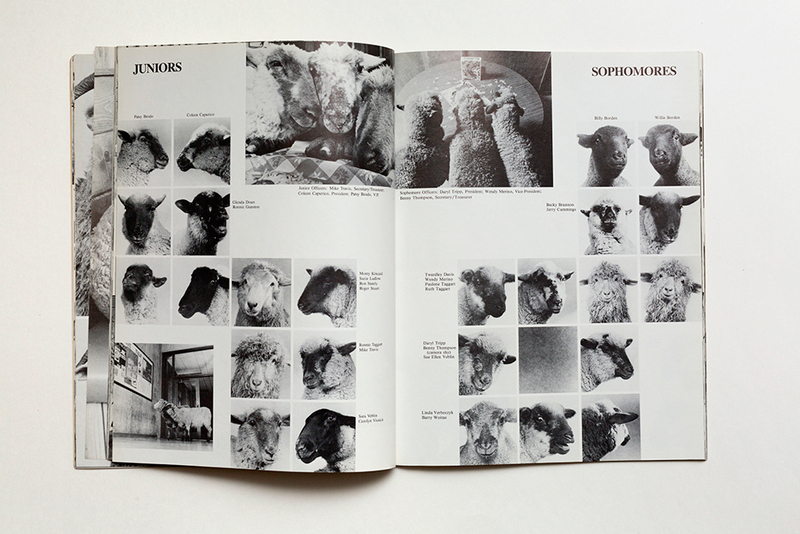 We asked a pool of international photobook experts to share with us an image-text photobook they find particularly interesting, regardless of its publication date and where text is a fundamental element in the narrative (not a mere introduction or essay on the photoworks). Here Jason Fulford reveals why Don Novello’s The Blade, first published by Collier Books in 1984 (78 pages), has made a lasting impression on him. 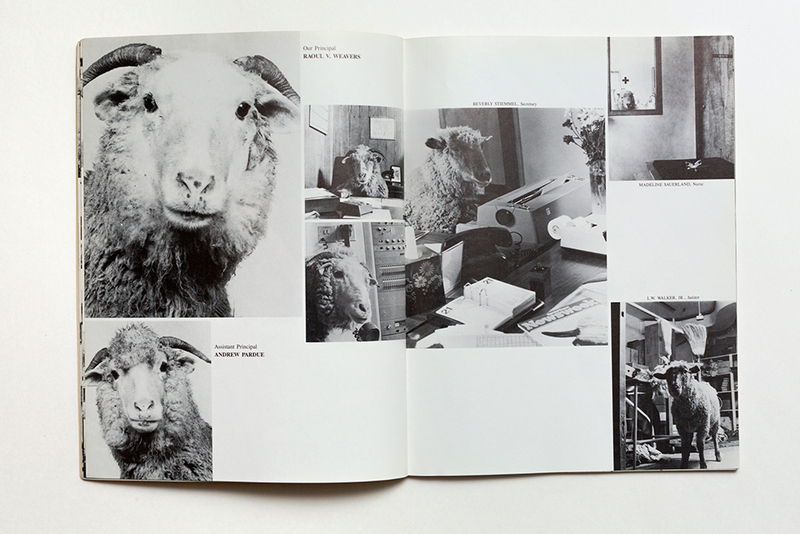 I thought about presenting one of my favourite classic text/image photobooks, like Collier Schorr’s Jens F (2005), Weegee’s People (1946), or John Cage and William Gedney’s Iris Garden (2013), but readers will probably know those books already. Instead, here is one that might be off their radar. It’s an obscure paperback I bought for one dollar in a junk store in New York City, and it makes me laugh out loud every time I open it. The author, Don Novello, is the writer and comedian behind Father Guido Sarducci, the Saturday Night Live character from the 1970s-80s. 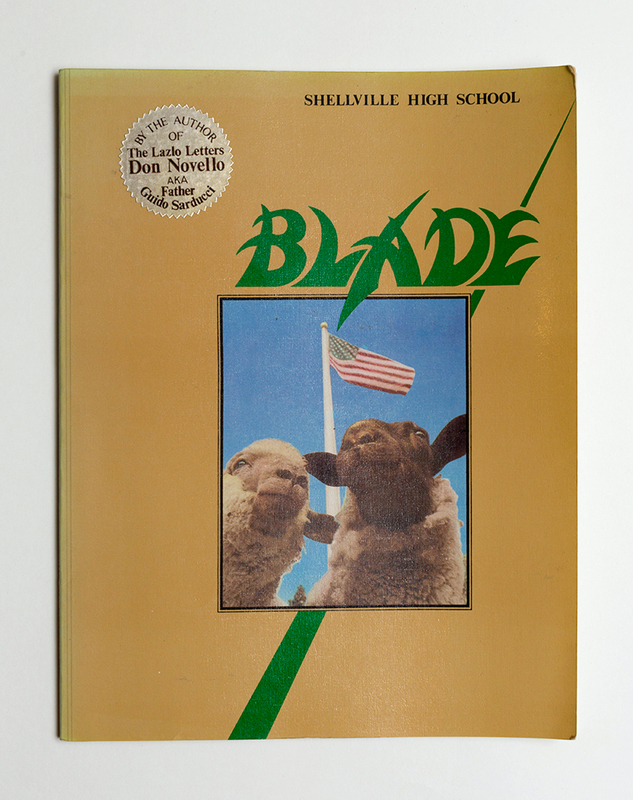 The Blade is a 1984 yearbook from the fictional Shellville High School. 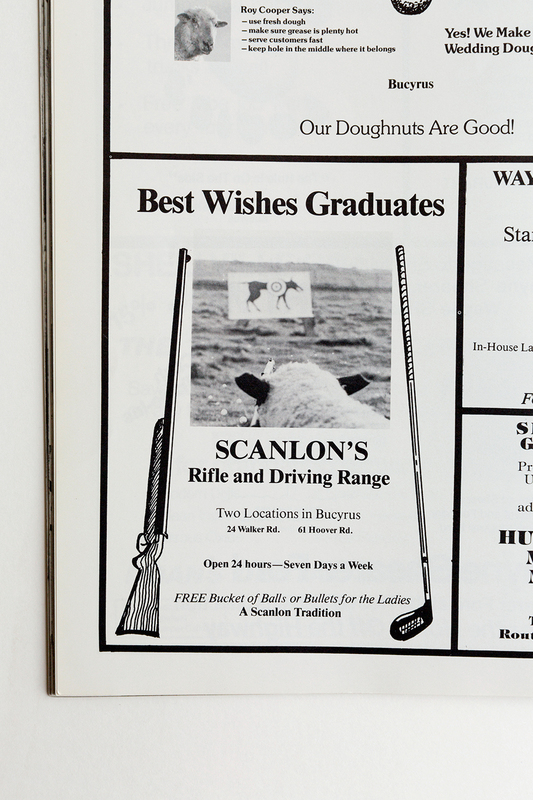 The restraint of the yearbook format is strictly kept-school chants, head shots of faculty and students, senior quotes, class superlatives, student council, photographs from field trips and prom, clubs, drama, sports, local ads in the back – with one exception: all of the characters are sheep. 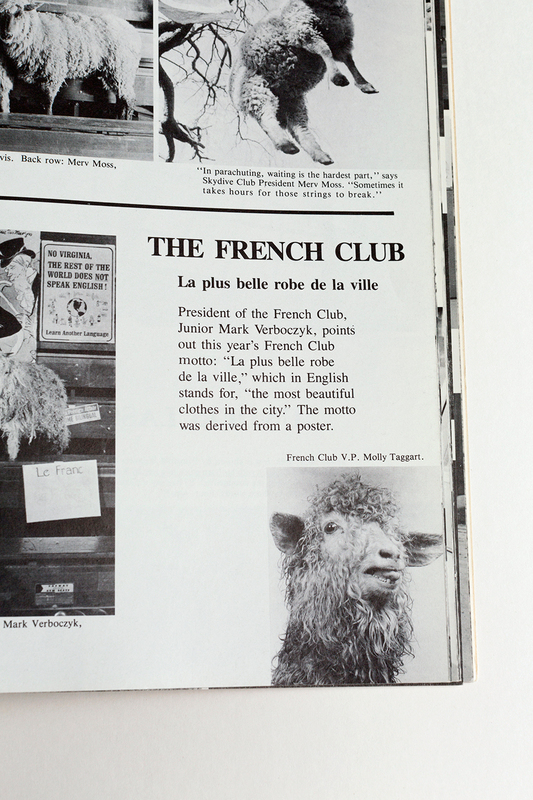 The humor comes out through deadpan captions and the animals’ natural poker faces. 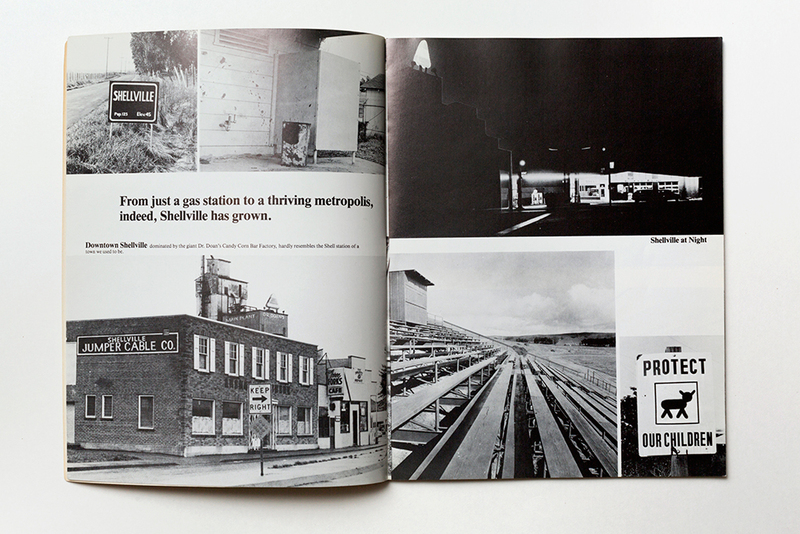 Jason Fulford is a photographer and co-founder of J&L Books. His photographs have been described as open metaphors. He is also an unlicensed welder and carpenter. As a gardener he prefers perrenials to annuals. His favorite book is The Third Policeman by Flann O’Brien.